Mother’s Day is this weekend, in case you haven’t already been reminded by every retail store, commercial and random advertisement in the last 30 seconds. The media makes it hard for us to forget these things, right? Well if you still happen to be struggling to think of what to get that special woman in your life, I have just the answer…FOOD. Specifically breakfast in bed. With pancakes. And maybe a mimosa. I can’t think of one woman that wouldn’t love that. So speaking of mothers, today’s post is a special surprise for one of my dearest blogging friends who is going to be a brand new mama very soon. Izzy and I instantly connected over our love for food a few years ago. In fact, we’re kind of food twins in that we have very similar tastes. 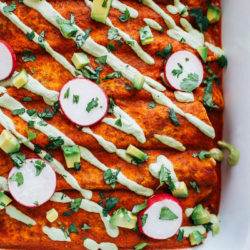 If you like the recipes you see here then you are going to love her blog. She is the truly one of kindest people and I know she is going to be an incredible mama to her new baby boy. 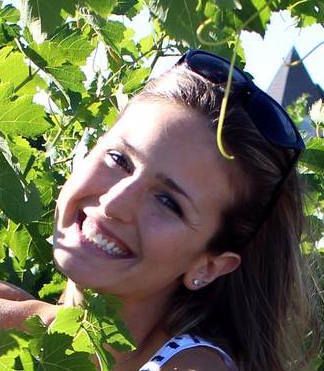 To honor her in this exciting celebration, a few of us got together to throw her a virtual baby shower. Check out all of the delicious things on the menu! 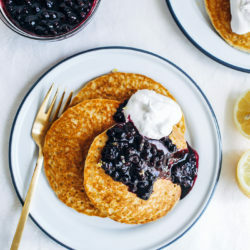 I decided to make these Hoecakes with Blueberry Lemon Compote for the party because I thought the blue and yellow colors would be suiting for a boy. The recipe was inspired by the most amazing brunch that we had while we were in Portland at Harvest at the Bindery. They serve an entirely plant-based, southern-style brunch with classics like biscuits and gravy, grits, and hoecakes. I had quite a few hoecake fails before I finally gave in and did some research to help me figure out how to make them vegan and gluten-free. Eventually I came across this recipe which sounded right up my alley. I was worried that the simple ingredient list was too good to be true but I made a few modifications and thankfully they came out perfect! I’m going to say they’re probably my favorite vegan and gluten-free pancake yet. The texture is surprisingly light and fluffy. I don’t know, it’s a close call between these and the vegan oatmeal blender pancakes. As you’ll see, the ingredient list calls for finely ground cornmeal and brown rice flour. You can also use medium-grind cornmeal but the texture will be somewhat gritty which might not be for everyone’s taste. The compote sounds fancy but I promise it’s very easy to make. You just dump a bag of frozen wild blueberries in a sauce pan with lemon, ginger, and maple syrup then cook until the berries start to realize their juices. It is such a lovely combination with the cornmeal pancakes. 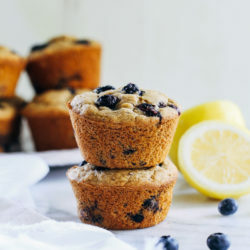 Whether you want to make a special weekend brunch at home or surprise a certain someone with breakfast in bed, I think these will definitely fit the bill. In a large bowl, combine the 1 and 1/2 cups cornmeal, 1/2 cup brown rice flour, 2 teaspoons baking powder and 1/4 teaspoon salt. Sift together and set aside. 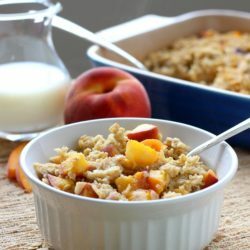 In a large measuring cup (or a small bowl), combine 1 and 1/2 cups almond milk, 2 teaspoons vanilla extract and 1/4 cup apple sauce then stir together. 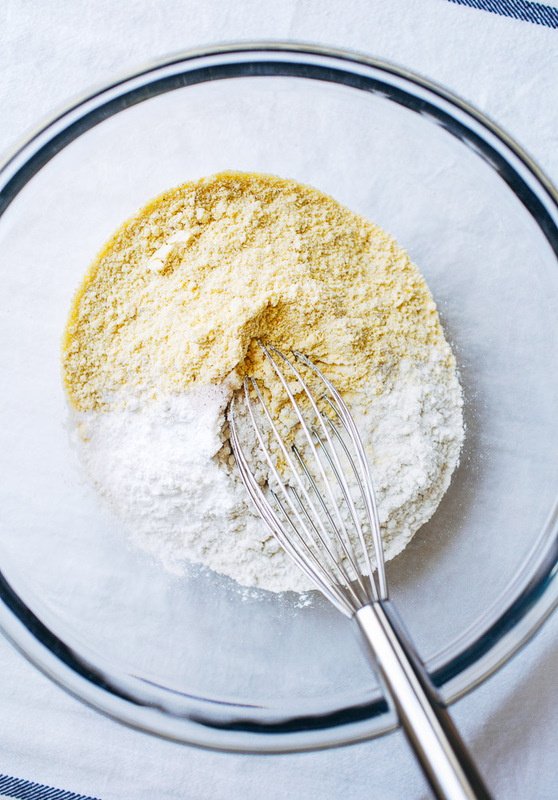 Add the wet mixture to the bowl with the dry and whisk together until a smooth batter forms. Warm a large skillet over medium-low heat. Once the skillet is hot, lightly coat with high heat oil. Pour in about 1/3 cup of the batter at a time. Let it cook for about 3 minutes, until the batter begins to bubbles and the edges become firm. Flip it with a spatula and cook for another minute so that both sides are light golden brown. 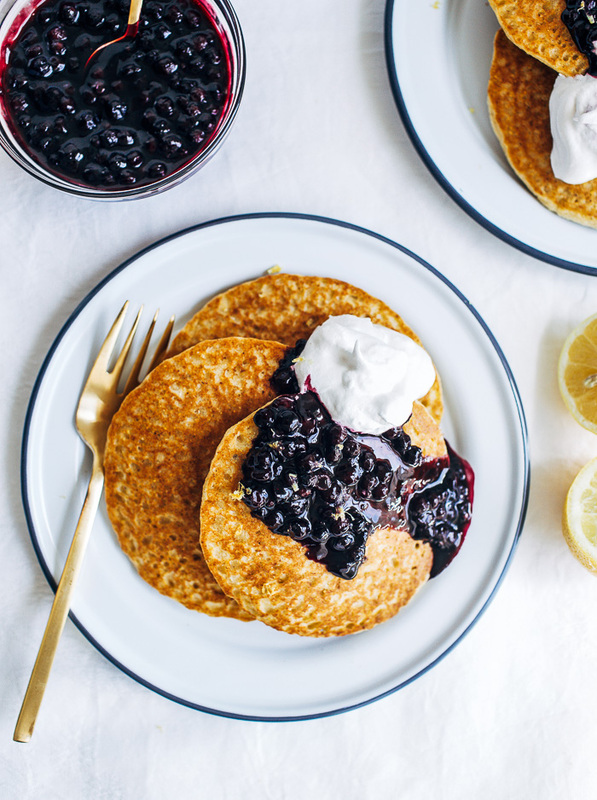 Serve pancakes warm with blueberry lemon compote and vegan butter or coconut whipped cream. 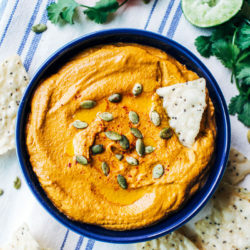 *I recommend using finely ground cornmeal (or corn flour) for this recipe. It will yield a softer, more desirable texture than medium-grind. 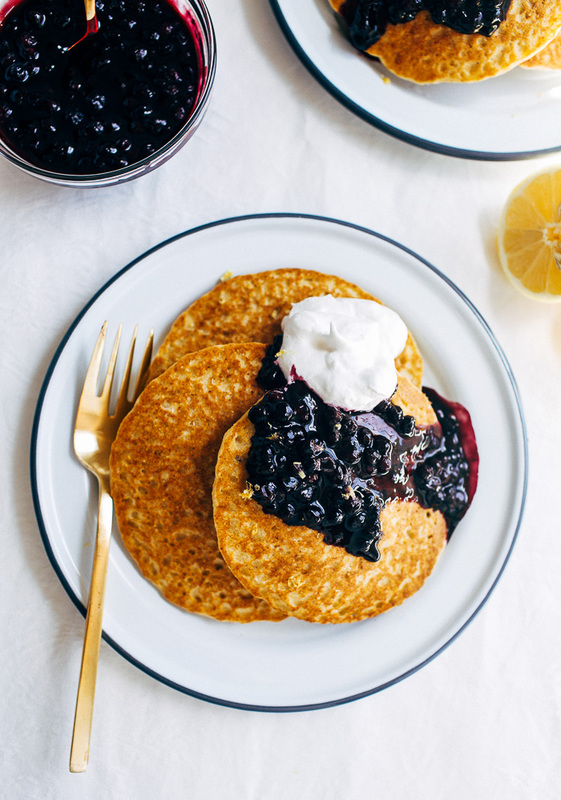 Nutrition Facts are for 2 Pancakes with Blueberry Lemon Compote. You may have extra compote left over depending on how much you use. 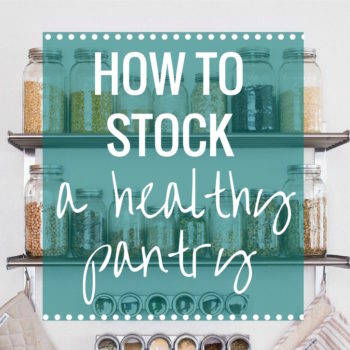 You can freeze it for later or use it as a topping for oatmeal or as a spread on toast. Yum. I love the new design!! Everything looks so pretty. Plus, I just want to eat this compote with a spoon. I hope that’s acceptable! That cornbread sounds amazing! I hope you’ll share it with us soon. I didn’t realize hoecakes had a specific name, lol! I’ve just been calling them cornbread pancakes. I feel much more learned now. The recipe looks fantastic and that compote is making me drool! My mom would love this for Mother’s Day Brunch. It’s been lovely “showering” with you lady! 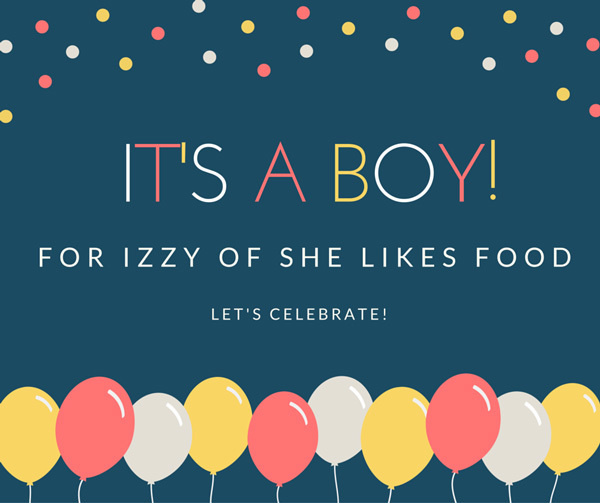 ;) Thanks for rounding up everyone for Izzy’s celebration! I think it’s more a southern slang than a specific name but I’m probably going to use it regularly now, lol. Thanks for being a part of the shower, love! I wish I could eat some of you tres leches for dessert tonight! Yummm. 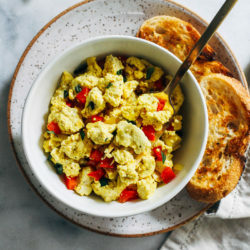 This recipe is definitely calling my name for a spring breakfast! And your new site design is just absolutely lovely — so you!! I have to admit I had to come by just to see what a hoecake was. These look perfect lady! Girl, this blueberry compote looks delicious! And I obviously could ALWAYS go for a few pancakes. I absolutely love making pancake fruit toppings like this – it tastes so decadent but is really healthy, which is totally my style! I don’t think I’ve ever made hoecakes, so I need to try this. Thank you for joining us for the shower! I agree the menu sounds incredible. I need some of those brownies!! These + a mimosa would be the most perfect breakfast in bed! I’ve never had a hoecake before so these will be a must for me this weekend! And that sauce! 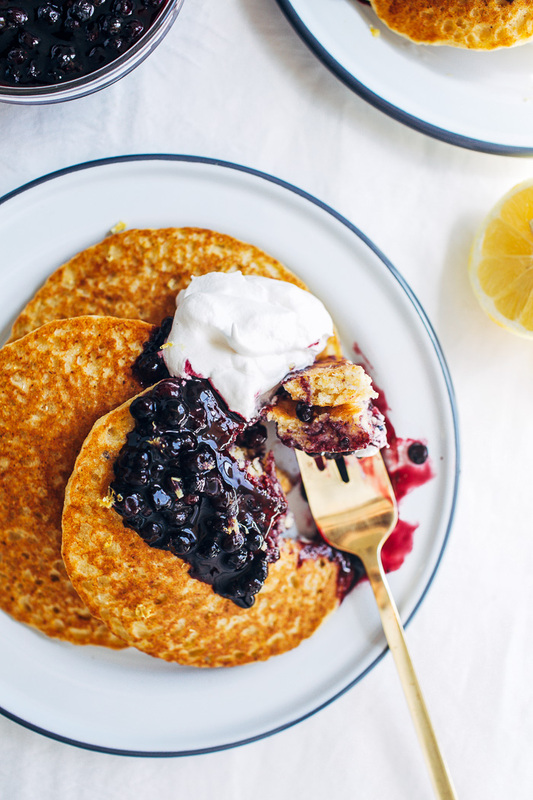 Oh yes, I have been wanting to try hoecakes for awhile now and these look perfect! Pinning this! And I agree, any woman would be happy to wake up to this breakfast. So fun celebrating with you ladies for Izzy! I so wish we were all celebrating in person too! But yay for virtual baby showers!! :) These hoecakes look awesomeee. I keep meaning to step up my weekend breakfast game … these would be a great place to start! 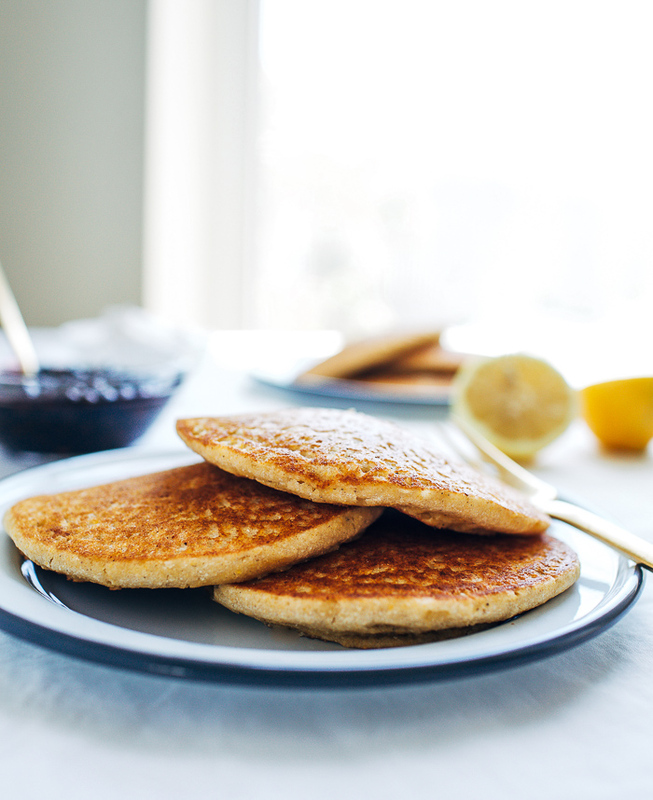 Confession: I had no idea what a hoecake was, but I’d happily eat an entire stack of them! Especially if blueberry compote was involved :D Also, I can’t even tell you how many times I’ve wished I could gather all my blog buddies in one place and hang out. Why do we all have to be so spread out?!?! 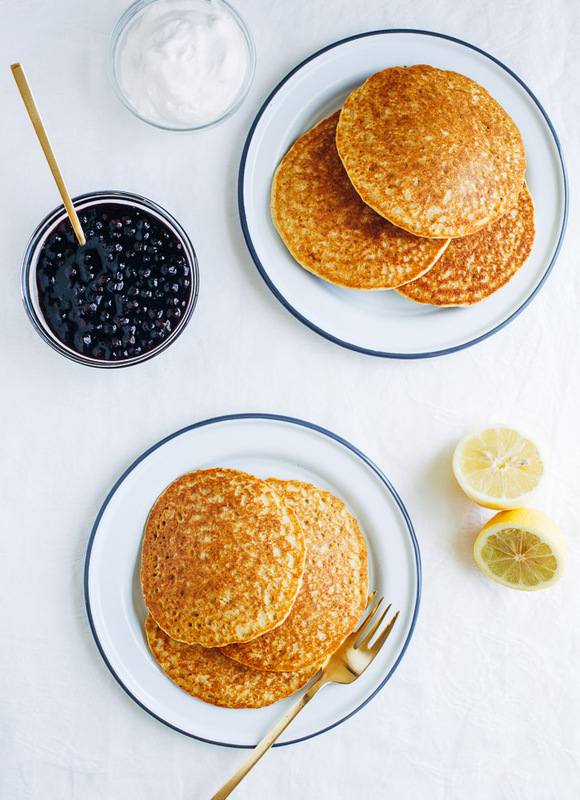 How did you create the nutrition values of your pancakes. Id love to know. Anything tips you can share are much appreciated. Can you suggest a substitution for the apple sauce? Made these this morning with medium grind cornmeal. I should have listened to your recommendation and used finely ground but despite that I still really liked these! I’ll make them again with the finely ground cornmeal. The ingredients are awesome! It can be hard to fine finely ground cornmeal, unfortunately. But the texture is so much better than the medium grind. I bet they were kind of gritty, lol.